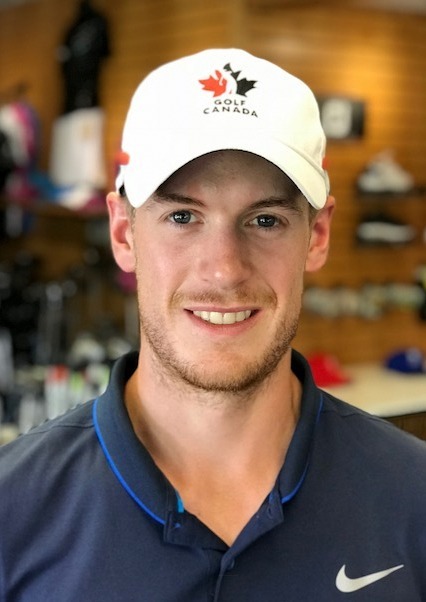 Owen Sound-area golfer Josiah Dixon ended up in 15th place at the Ontario University Golf Championship. Dixon, who is in his rookie season with the Guelph Gryphons, shot 84 today. That was 11 strokes higher than his first-day score which had him in 2nd place and only one stroke behind the leader. However, his team had a better day and moved up to 5th from 8th place. A total of 16 teams and 80 golfers were in the competition. The individual winner was Mackenzie Carter of Western, who carded rounds of 74-73. The team event was won by the University of Ottawa with a two-day stroke total of 618. In five previous events this season Dixon has tied for first three times and finished 3rd twice. The championship was held at Heron Point Golf Links near Ancaster.